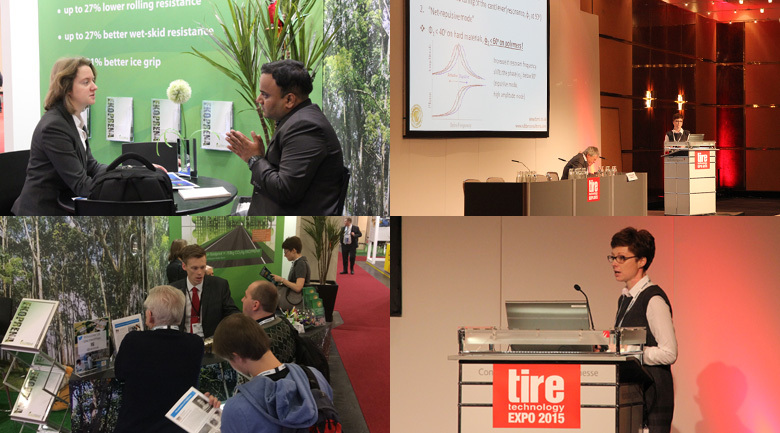 TARRC exhibited at Tire Technology Expo for the eighth consecutive year, in Cologne, Germany from 10th-12th February 2015. 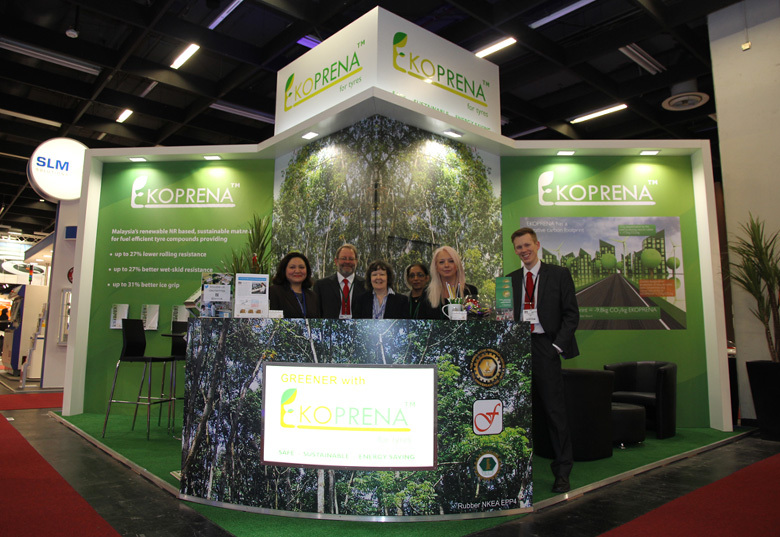 TARRC showcased Malaysia's renewable natural rubber based material, EKOPRENATM on stand 6100. Dr Pamela Martin, a senior materials scientist at TARRC specialising in tyre compounds, talked about the analytical technique that has been identified to examine tyre wear in service. The technique gives an insight into the wear mechanism of tyres and represents a major step forward in the understanding of wear mechanisms in tyre compounds. 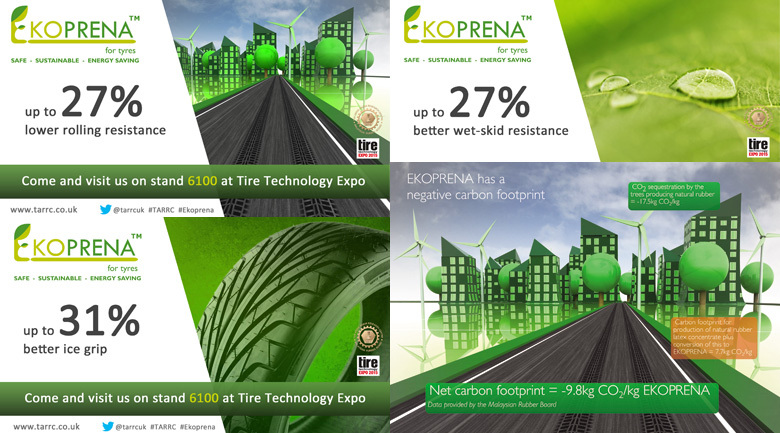 The aim is in the future to develop a more reliable predictive laboratory test for tyre wear than is currently possible. ‘Visualisation of tread wear’ was presented on Tuesday 10th February in Session Four - Tires, Testing and Property Research. Dr Anna Kepas-Suwara, another of TARRC’s senior materials scientists, gave a paper on Thursday 12th February in Session One – Tire Materials, Understanding their Physical and Chemical Properties. Her paper was entitled ‘Loss tangent and stiffness mapping of NR/BR blends using AFM’ and described studies at TARRC using the AM-FM technique of atomic force microscopy, which combines amplitude modulation mode (AM) with quantitative frequency modulation mode (FM), providing the capability for quantitative nanomechanical mapping of each polymer phase in the unfilled and filled NR/BR blends along with the topography measurement.